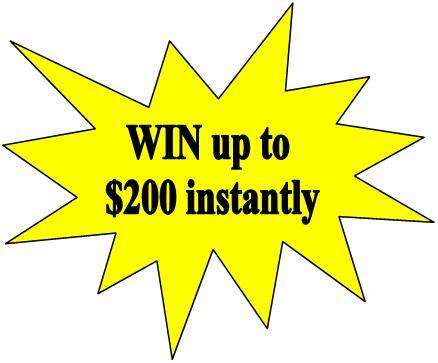 Reserve NOW for a chance to win up to $200 instantly upon arrival! Offer applies to motel, cottage and transient RV stays only. "It's always a great day at Lanz's!" Lanz's Motel, Cottages and Campground, located directly on the St. Lawrence River, is dedicated to making your stay in the Thousand Islands a memory you can share with family and friends for years to come. Lanz's is open from May 1 through October 12.We have twenty motel units and sixteen one, two, and three bedroom cottages. We offer group rates for bus tours. We also have a full hook-up campground, a boat launch and dockage. For your enjoyment there is an inground swimming pool, a playground, beach front bonfire pits and a sandy beach on the premises. We also provide a beach front picnic area with barbeque grills and a 70' riverfront deck that offers panoramic views of the St. Lawrence River. The St. Lawrence River boasts many activities. Museums, beautiful golf courses, a go kart track, basketball and tennis courts are located within a three mile radious. New to Clayton in 2006 is Clayton Island Tours , a two and a half hour two-nation narrated cruise of the islands located in and near Clayton with stop overs at Boldt Castle on Heart Island. Clayton Island Tours also offers Sunset cruises, an Island Picnic cruise, and charters. Uncle Sam Boat Line also offers a two-nation narrated tour with stop overs at Boldt Castle on Heart Island or Singer Castle on Dark Island. A visit to these famous castles featured in 2005 on the Travel Channel is a must for any visitor of the area. A trip across the Thousand Islands International Bridge into Canada is sure to bring pleasure to your vacation. Leisure boats, fishing boats and wave runner rentals can be arranged in advance or you are welcome to bring your own watercraft or boat. Don't forget your water skiis! And for the diving enthusiast, some of the best fresh water scuba diving in the world exists in the St. Lawrence River. Whatever your pleasure may be, the friendly staff at Lanz's would be happy to arrange reservations for you at any attraction, restaurant or boat rental facility. A complete list of each year's events can be found at theClayton Area Chamber of Commerce website. Rooms accommodate 1 to 4 people and are equipped with air conditioning (motel rooms only) and refrigerator. Adjoining rooms and pack'n play are available upon request. We offer a 10% discount on a 7 night stay in our motel rooms. All motel stays are subject to NYS Sales Tax of 8% and County Occupancy Tax of 3%. Deposit of one nights rent required for all motel reservations of up to four nights. Longer than four nights requires a deposit of one-half of stay. Deposits are NOT refundable. Cottages come equipped with a full kitchen including dishes, utensils, glasses and pots and pans, a full bathroom, and a living room. Each bedroom has a double bed and all units have a futon; blankets and pillows are provided. All cottages have a patio with a picnic table and a bbq grill. You are responsible for the paper and soap products and the linens (Linens are also available for rent at our office). Nightly stays are subject to NYS Sales tax of 8% and County Occupancy Tax of 3%. Deposit of one-half rent required for all housekeeping unit reservations. Deposits are NOT refundable. One Bedroom Cottages:Full bath, full kitchen, utensils, patio with bbq grill and picnic table. $4000 for the season. The above seasonal rental also includes use of the following amenities located at Lanz's: pool, beach, waterfront picnic area and bonfire pits. SORRY - NO PETS ALLOWED IN ANY UNITS OWNED BY LANZ'S MOTEL, INC.
Lanz�s Motel welcomes guests with disabilities, including guests who use a service animal to assist them. Please advise us when making a reservation or checking in that you have a service animal, and tell us what work or task the animal has been trained to perform. Lanz�s Motel will not charge any fee for guests who have a service animal. Please remember that a service animal is an animal that provides a service to a person with a disability. Animals that only provide emotional comfort, and do not perform a service, are not considered service animals. Service animals must be housebroken and must be maintained under control at all times during your stay at Lanz�s Motel. The guest using the service animal is responsible for the animal�s care and supervision. $20.00 per day includes ramp use. Seasonal rental is also available. Please inquire for rates. We can accommodate boats up to 32' at the river docks. Our seasonal docks, located in the cove, can accommodate up to 24'. Seasonal sites run from May 15 through September 30. We have open sites available for travel trailers, park models, and double wides. Rates vary depending on number of people in the family and size of camper (i.e. single or double wide). Please call or email for rate details. We have Mobile Homes and Campers FOR SALE, set up on extended stay sites, most with immediate possession. Use of the pool, beach, playground, and picnic area are on site for your pleasure. Call for details. We also have vacant sites available if you wish to bring your own trailer into our park. Pull-through overflow sites are available. The overflow area has water and electric only. We do not provide a picnic table or a fire ring at the campsites. Restrooms and showers are available. Rates start at $30 per night for four people. Deposit of one nights rent required for all campsite reservations of up to four nights. Longer than four nights requires a deposit of one-half of stay. Deposits are NOT refundable. Everyone must sleep in the camper. NO TENTS! NO SLEEPING IN VEHICLES OR ON BOATS! All reservations require a deposit and deposits are NOT refundable. CONVERTIBLE FOR SALE-1965 OLDS 98 runs excellent, 425 cu. in. rocket engine. Great condition. Solid car stored inside. Has never seen winters or salt. All original except carpet on floor and top which was new 2 years ago. Power top, windows, seat, steering and Brakes. Front bumper needs to be re-chromed. 21,000 miles. $14,000 obo. CALL: 315-686-5362. PLEASE EMAIL FOR PHOTOS. FIFTH WHEEL TRAILER FOR SALE-1999 Cardinal 5th Wheel Travel Trailer. 8 feet by 31 feet. Turn key vacation home on the beautiful St. Lawrence River in the 1000 Islands. Trailer is set up in the park with a 8' x 12' deck, has 2 slides. Park amenities include pool and sand beach. Boat launch and dockage available. Good condition. $7,000 ($2,500 below book value). Call 315-686-5690 or email lanzs@juno.com for photos. LANZ'S MOTEL & COTTAGES, INC.